People find this place rather nice! Average score: 5.7 by 834 random voters. 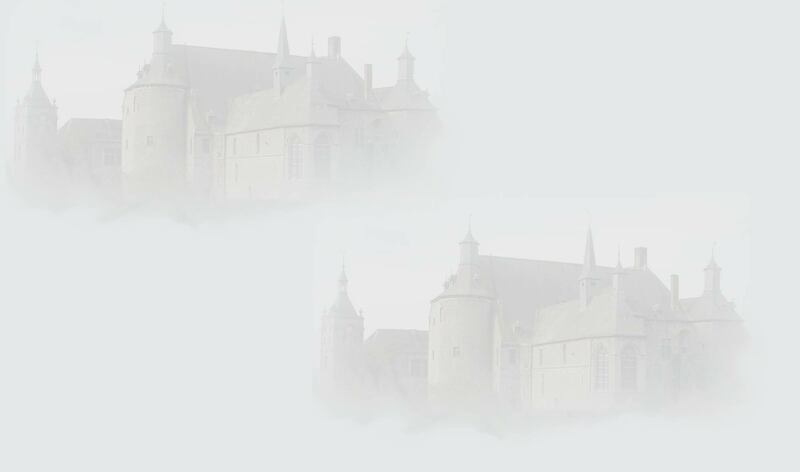 After that a fire devastated the bell-tower of Bruges in 1280 the county prison ('Ghyselhuus'),that was no beeing in use at that time, became the new reunionplace for the alderman. In 1376 Count Lodewijk van Male ordered the demollition of this building and its reconstruction into a prestigious town hall. It was erected under the command of Jan Roegiers, and it was finished in 1421. It becomes so the oldest late gothic town hall. It inspired the construction of several other town halls (Brussels, Ghent, Leuven...).It stand on a rectangular base. Also the Brugian span, that probably was used here for the first time, was to be copiied many times. 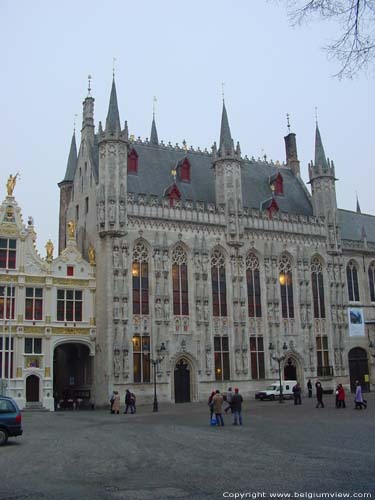 The late-gothic construction is witness-proof for the economic welfare of Bruges in the 14 th century. There are many biblic and historical ( counts and contesesses of Flanders)statues in the fassade, under decorated baldachyn. These statues were renovated several times.Especially during the French Revolution many of the original statues were demollished. Different musea still posess some peices of the original statues. The statues were replaced by modern statues after many discussions. The crenelated parapet is workes out with oriels. The saddleback roof has on its ridge a cresting with many roof niches worked out in it. At the origin the left entrance was situated in the first span. It was relocated in 1766 in an entrance that was symmetrically situated to the right entrance. A fire in 1887 caused lots of damages to the interior. Louis Delacenserie and Jean-Baptist Bethune made several renovations between 1895 and 1905 . The hall, now known as the 'gothic hall' was created by the junction of the small and large aldermanshall. This room is richely decorated and posesses a special double oak wooden ceiling. The boss contains medaillons with images of prophets, saints and evangelists. The corbelstone are then decorated with imaages of the seasons and the nature elements.zijn dan weer versierd met voorstellingen van jaargetijden en natuurelementen. On the walls there are paintings of the history of Bruges by the hand of Albrecht De Vriendt. These are such also as the chimneyhood, additionals in the neo-gothic style. The stone vault of the hall were replaced by a wooden constructionthat is supported by four composite orders. During the night the building is marvelously illuminated.